First Time Home Buying – Actions to take and mistakes to avoid! Buying a house is not a simple process and you would find out that this is truer, if you are one of the first time home buyers. 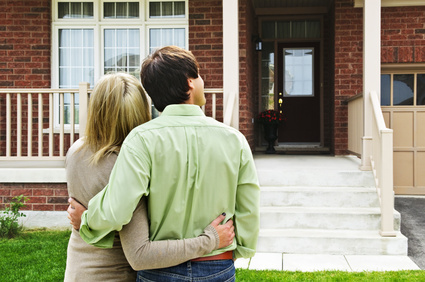 You will be required to consider several aspects with regards to home buying. It is practically impossible to handle the home buying process of your own, unless you have experienced people who can handle the show. However, it would be better to get of experienced and authentic people. For instance, you can get help from the REALTOR®, mortgage broker, and the home inspector and so on. They are the people who can help you to take the correct decision about buying a new home. Just keep in mind that they too are professionals and you will have to pay them their share of commissions too. While a REALTOR® can help you in finding out the true value of the new home, he can also suggest whether or not buying a house in a particular locality will at all be worth your money. A home inspector is the person who can help you with identifying the areas which may have to be repaired and the cost involved in the same. You can also talk to your friends and family members residing in that area, if you have one. Although it is true that the home buying process cannot be handled alone, try to understand as much as you can and if you have any confusion, don’t hesitate to get it clarified. 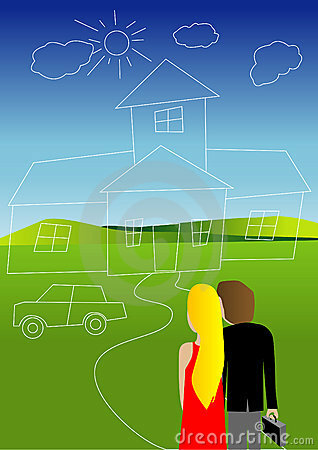 Do not forget to consider your affordability – The most important factor is to determine your affordability. Depending on your existing monthly financial obligations, decide about the mortgage loan that you are planning to take out. Find out a suitable location – The next important factor is finding a good location. The location you select should be worth the amount you are shelling out. Commuting to work or taking your kids to school shouldn’t be a cause of concern. Work out a budget so that you can make the payments – Work out a budget so that you can assess your expenses once you buy your dream home. If your finances are not permitting you to buy a house now, work on bettering your finances first. You can move to a rented apartment instead. Gain knowledge about the local market – Prior to settling for a home, do a bit of research and find out the actual value of the houses in the neighborhood. Sometimes a seller may be asking for more. Make sure to read the fine print – Since taking out a mortgage will affect your life in the years to come, it is very important to know what you are terms and conditions you are actually accepting. Make improvements before you start living – If it is found that your new home needs certain changes in form of repair work, make sure that the same gets done before you start living in the new house. In addition to the factors mentioned above, there are various other minute details which require your attention. Like, it’s important to shop around for the best deals, so that you don’t have to regret for your decision later. Shane is a financial writer and community member with profound knowledge on the real estate industry. He has also made notable contributions through various articles written on different subjects related to the real estate and mortgage industry. This article is about the useful tips of buying a home.